This guy incorporates a number of different designs into his arm tattoo, including a heart, a tree and a tribal pattern. In one of the most unique heart tattoos…probably ever, this guy got a human heart tattooed on the inside of his right arm. 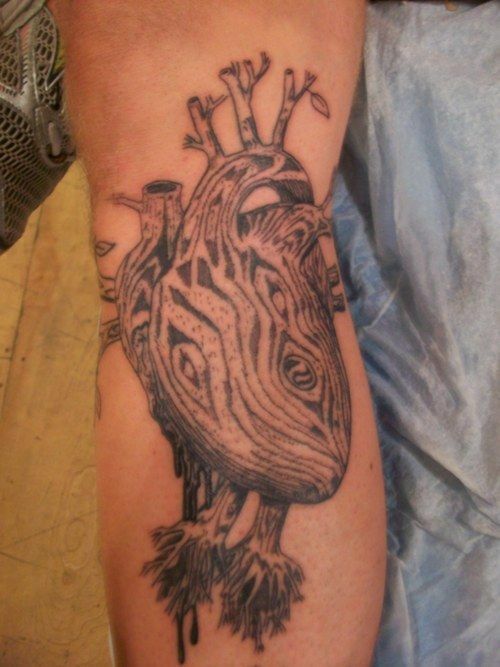 But not just any human heart; this guy’s arm tattoo is designed in a tribal pattern that is meant to look just like a tree. The largest heart valves are growing roots in the arm tattoo and some of the smaller valves are even sprouting leaves. Even though this heart tattoo is inked in black and white, the human heart image used in the arm tat looks very real. 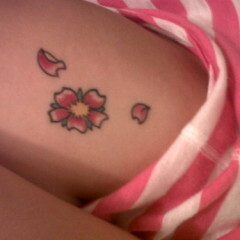 From what appears to be a gash in the side, the heart seems to be quickly losing blood (or sap?) . Because heart tattoos have been around for so long, and because they are popular amongst a variety of different cultures, there are many different heart tattoo meanings out there. What do you think this guy was going for?